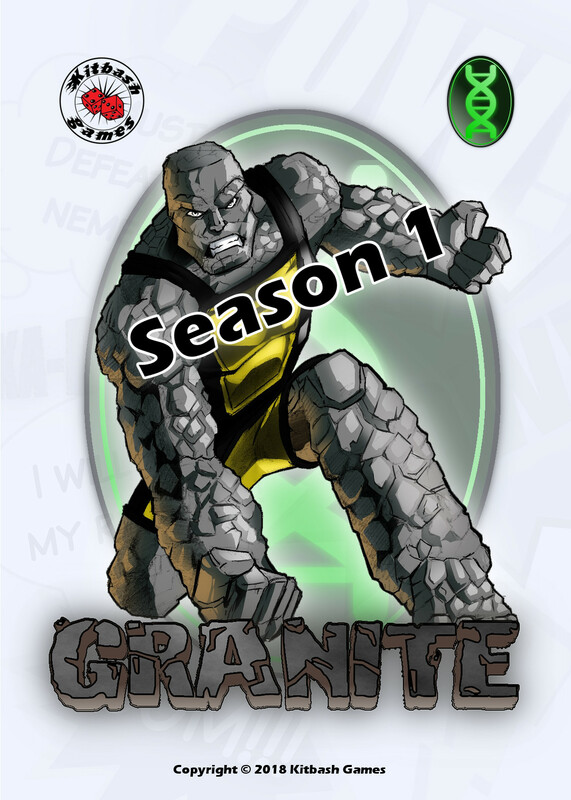 As a follow on from the reveal of Granite, here is a mid-week update to give you a sense of just who this mighty Anti-Hero is! Granite escaped the top-secret Project: Nu-Genix base along with three other detainees. All were subjected to painful and gruelling experiments intended to unlock latent Unhuman powers. A freak accident allowed them the chance to break free and Granite and his team-mates have been on the run ever since, searching for other victims of the project and determined to bring to justice the shadowy figures behind the conspiracy. This has brought them into conflict with Heroes and Villains on numerous occasions as they face persecution and a fight for truth. 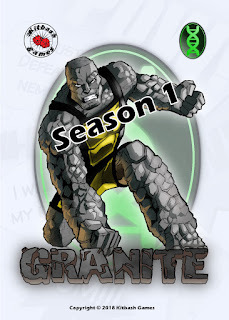 Granite’s powers allow him to assume a super-strong and durable rock-like form. As time passes he the happy-go-lucky Granite finds it increasingly hard to revert to his normal form, and he secretly fears he will one day become trapped. Worse still, he hates that the team leader Headlock just views him as muscle with little else to offer.